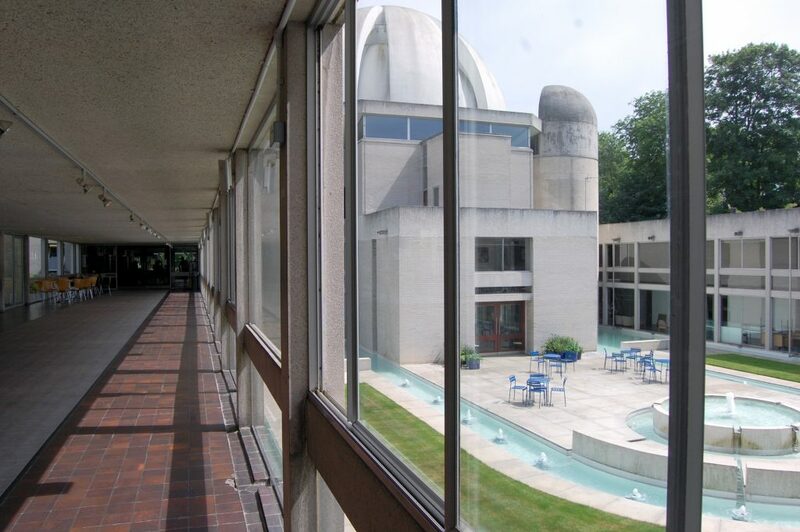 Drinks receptions are a classic way to welcome your guests to an enjoyable evening of dining or entertainment and at Murray Edwards we have some idyllic spaces for this part of your event. Alternatively, you may be looking for a way to round-off your conference or meeting with networking drinks or say thank you to your participants. 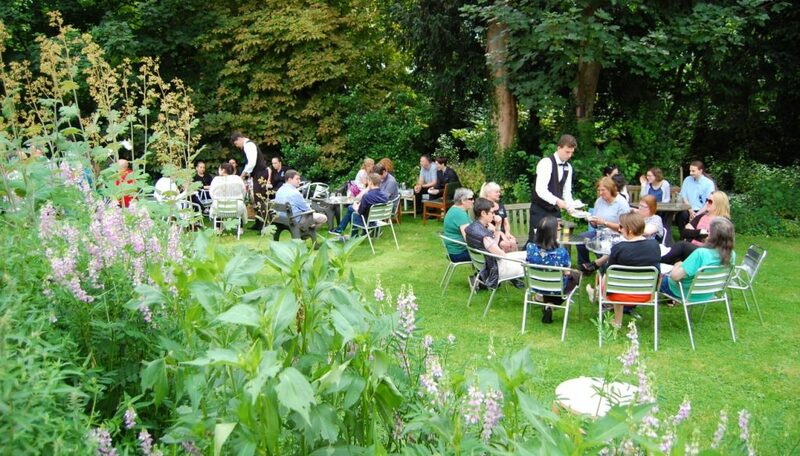 Whatever the reason for your reception, we will ensure it is run smoothly and professionally in beautiful surroundings. 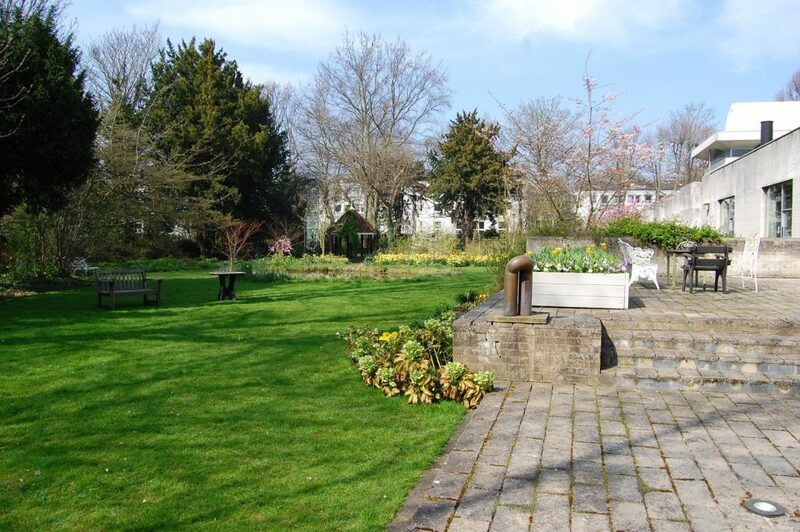 Two beautiful rooms with adjoining private garden. Available year-round. 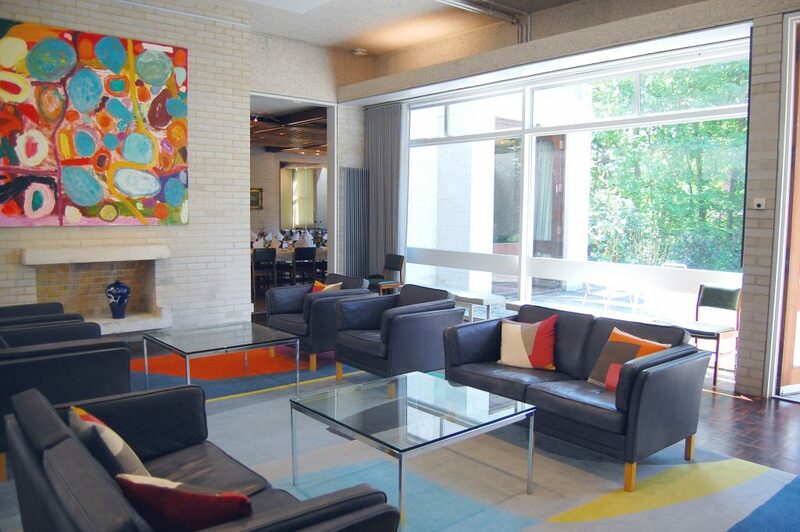 A funky, arty space with integrated bar. Available during vacations. A public walkway in the heart of the College overlooking fountains which are illuminated at night. Available year-round. 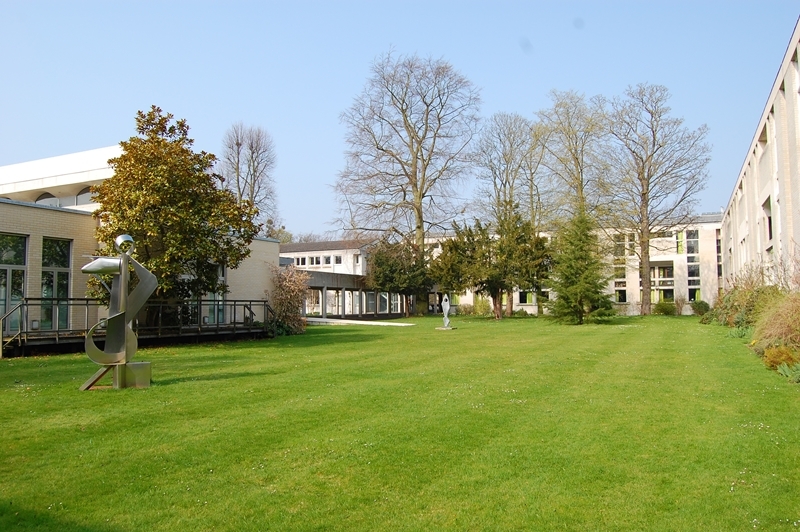 A stunning lawn with sculptures by Barbara Hepworth and <insert name>, surrounded by pretty boarders. Available in fine weather year-round. 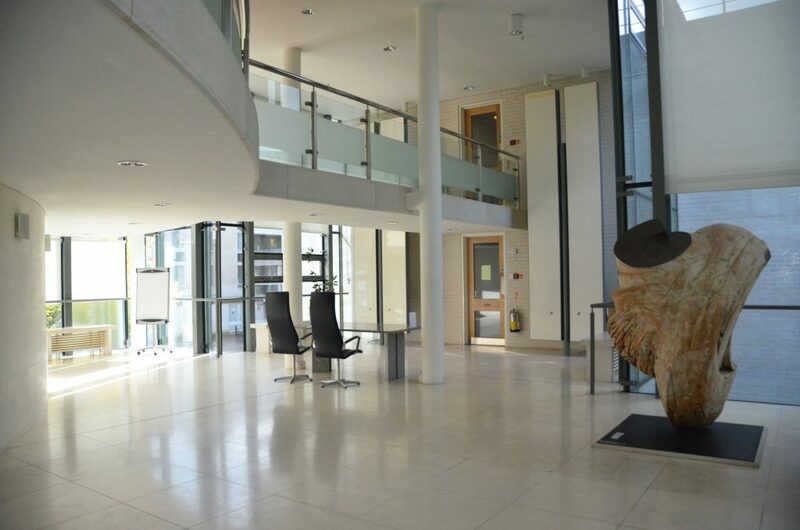 Located on the ground floor in our professional conference centre, this Foyer is warm and bright with access in fine weather to the adjoining deck. 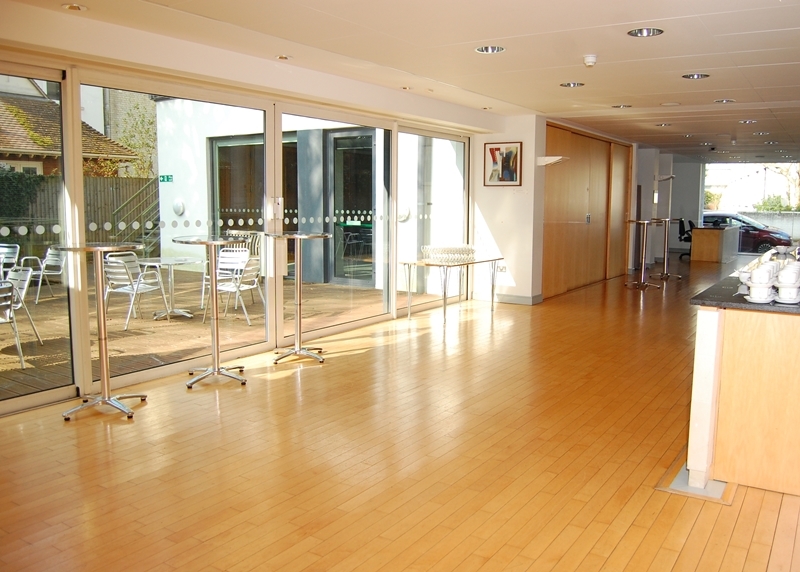 A large registration desk and attractive built-in bar make the space perfect for professional receptions. Available year-round. This light-filled, clean, airy space with double-height ceiling and curved walls creates a tranquil space for your drinks reception. 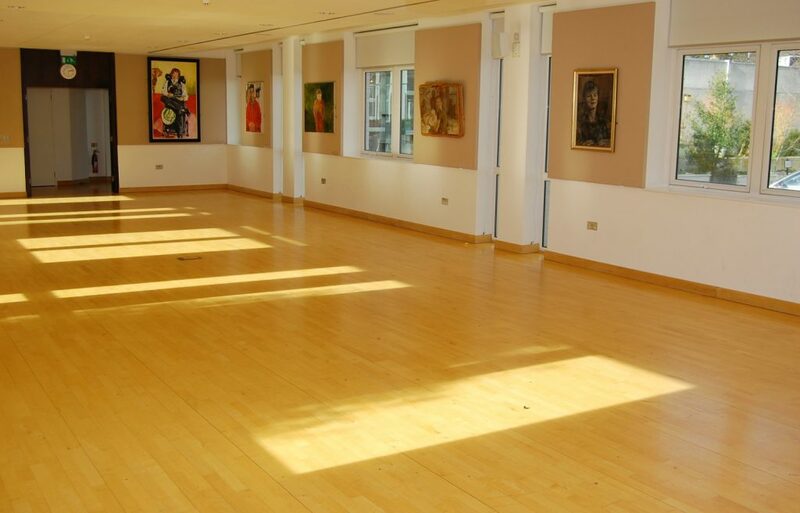 Lots of light makes this room excellent for posters or art receptions. Available year-round. 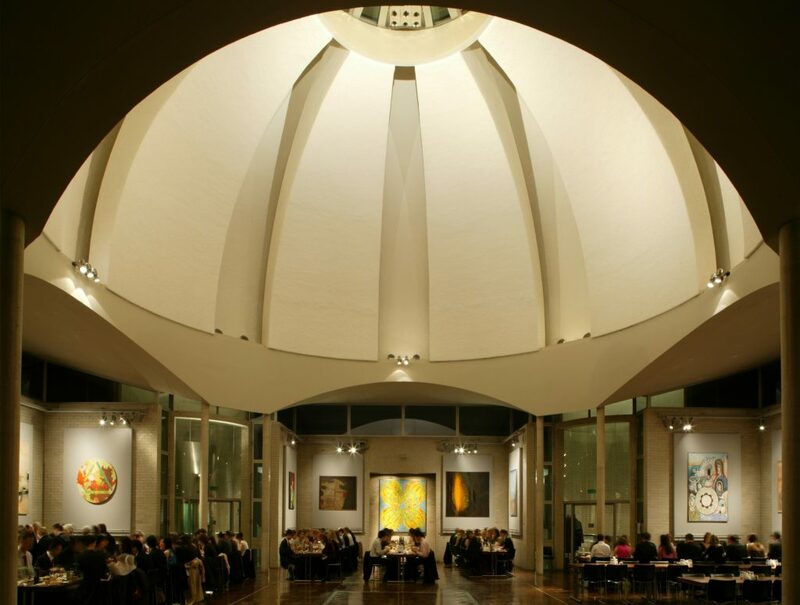 Our spectacular Dome; a space with guaranteed “wow factor”, is perfect for a large reception or for smaller receptions with dinner in the same room. Available during vacations. 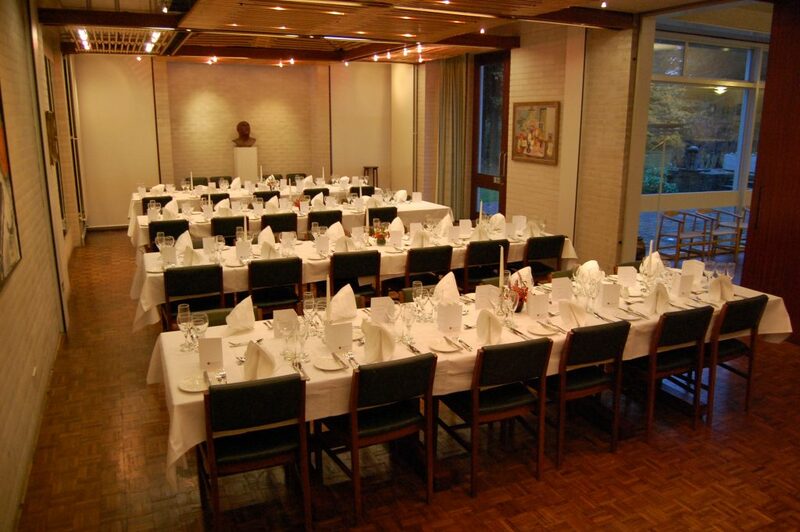 The Long Room and the Council Room are also both available for drinks receptions during vacations. 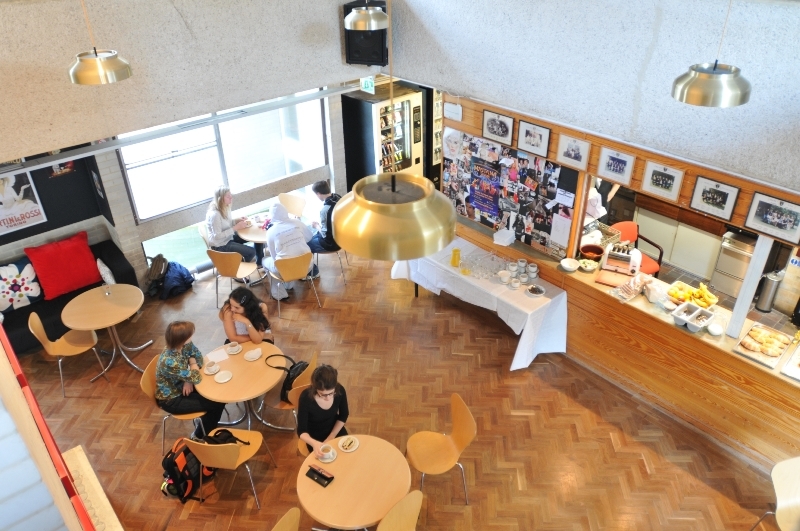 We are passionate about food at Murray Edwards Events and our canape menu is a reflection of that interest. Choose from a range of fish, vegetarian, meat and sweet options including aubergine caviar in a spinach tartlet, mini crayfish cocktails, mini pulled pork buns and strawberry macaroons.